Tomorrow is the big race! All the preparation has been done and I think I am ready. Ready as I will ever be! It won’t be the fastest swim but I’ll get it done. It will be super exciting when I finish but also a huge relief. I wonder if I will ever be 100% confident that I can do these great things? Until I am every finish will mean excitement and relief. Anyway, my trainer has kindly agreed to paddle for me and as it is somewhat of a thankless task I wanted to do something to say thank you. But what do you get your trainer as a gift? Tough question. Certainly I couldn’t make her cookies or brownies! She also has a pretty strict diet (gluten and dairy free etc). 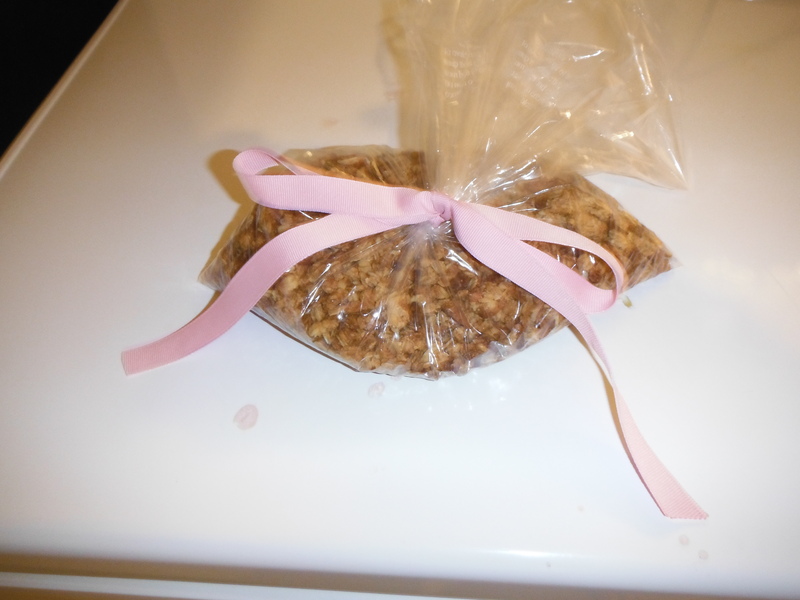 So after some thought I decided to make homemade granola for her. I looked at a bunch of recipes online and then added my own tweaks. Next time I will probably make it a little bit sweeter but I think that is better for my trainer because she isn’t a big sweet fan. Its a super easy process. If you have dried fruit or coconut that would be good. Mix all ingredients. Lay out on cookie sheet with silpat or parchment. 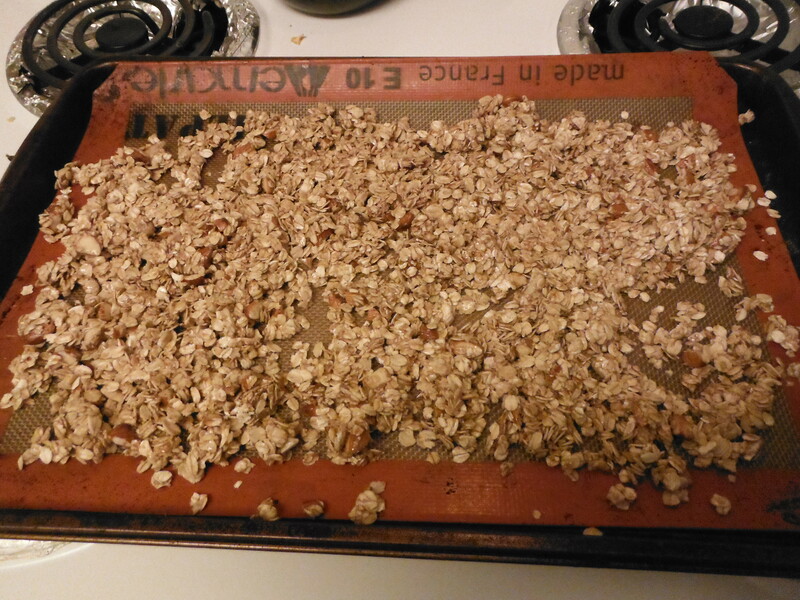 Stir the granola every 5 minutes and cook until it looks golden brown. It’s honestly as easy as that and to think how much people can charge for it! I would love to try this I was looking for a low-fat version for less calories.. If you find a way to make it lower in fat let me know. Hard to get it crispy without some canola oil. 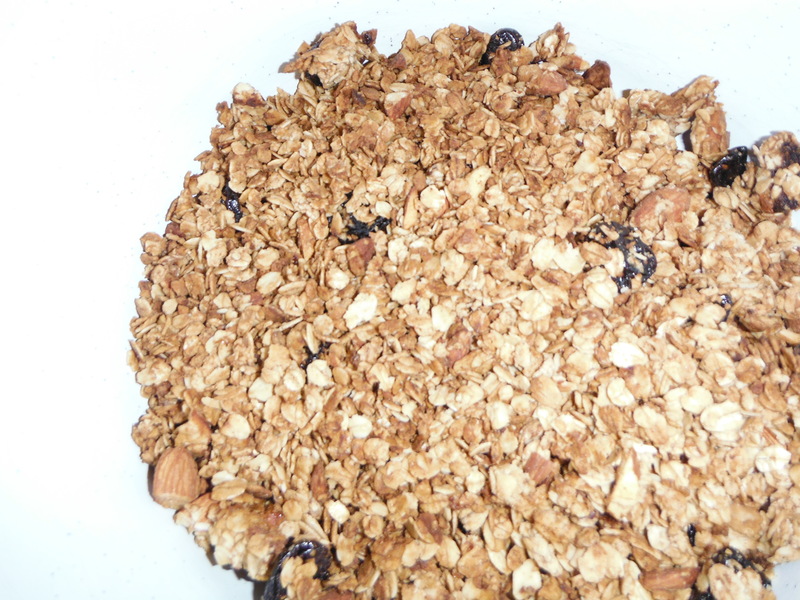 Some people add wheat germ to the granola to make it healthier but since my trainer is gluten free I didn’t do that. Enjoy!